Everyone can benefit from some good advice. If you run a small business, or want to, good business advice is worth a whole lot, especially if its free, or at least reasonably priced. Which brings us to the top nine business blogs we think many entrepreneurs and small business owners will find useful. Headed by Caron Beesley, the SBA Blog tackles the full range of topics of interest to business owners and entrepreneurs. It’s especially helpful for businesses seeking loans underwritten by the SBA. A blog/podcast founded by Tim Ferris, who wrote the New York Times bestseller of the same name. The emphasis is on improving your efficiency and freeing yourself from the mind-numbing drudgery that most businesses can inflict. 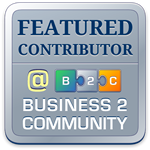 A financial blog site that helps explain complex topics to the average small-business owner. It teaches owners how to go about using financing to grow your company. It also hosts a forum to answer your questions. This daily business blog, run by Alyssa Gregory, bristles with tips and tools for operating your small business. Topics cover everything a business owner should think about, from productivity to security. Whether you work from an office or at home, this blog is well worth your attention every day. A marketing blog by Derek Halpern for the ecommerce set. It describes how to exploit social media using consumer psychology to achieve your business goals. The advice focuses on a mix of data-driven marketing and content marketing to boost your traffic, prospects and sales. If you’re looking for ways to recruit and keep online customers, this blog is for you. Copyblogger is a company that teaches online content creation for business. Content marketing can be in the financial reach of any small business, because you can do it yourself for free, without having to pay for expensive ads. Founded by Brian Clark in 2006, the free daily blog continues even as the remainder of the marketing company was split off as Rainmaker Digital. This blog, started by Yaro Starak, is for folks who want to “live the laptop lifestyle,” that is, make money online with your website and blog. It’s a good resource for building your website, populating it with content, and using it to earn a living. You’ll also learn about operating an email newsletter and other marketing techniques that will drive traffic to your website. Jim Connolly explores the many ways a small business can grow through effective marketing. His advice is geared to specific strategies and tactics rather than generalized (and mushy) “solutions.” He is also a convincing advocate for list-based content, though not to the exclusion of other forms, such as essays. A great resource for the often-underserved population of female entrepreneurs and business owners. Run by Susan Gunelius, the blog encourages contributions from business women that cover all manner of topics, from financials to management to marketing. Featuring some of the most sparkling writing on today’s business scene, the blog covers a lot of territory, beyond the basics of small business finance. You can learn about advertising, management, recruiting and much more in this free and timely blog.